Here are Voluptuous HQ, I love a What’s In My Bag post. By nature I might be the nosiest person I know, so any excuse to have a little dig around and get inside the mind of people I like is fine by me. I love to know who’s reading what, who has funny little talismans protecting their keys; which lip gloss they use. It makes sense then to do one of my own, in the hope that some of my great blogging friends will follow suit (please!). I took these pictures in a friend’s garden the other night as the light was pretty perfect and as I started to arrange my toot I realised, there have been more interesting Bag Days to be honest. This bag is about three years old from ASOS. I paid about £85 for it which at the time seemed reasonable but now seems a little frivolous. Still, it is a piece of arm candy I will never tire of and will last a long time so all guilt it cancelled out. But what’s in it, you say? 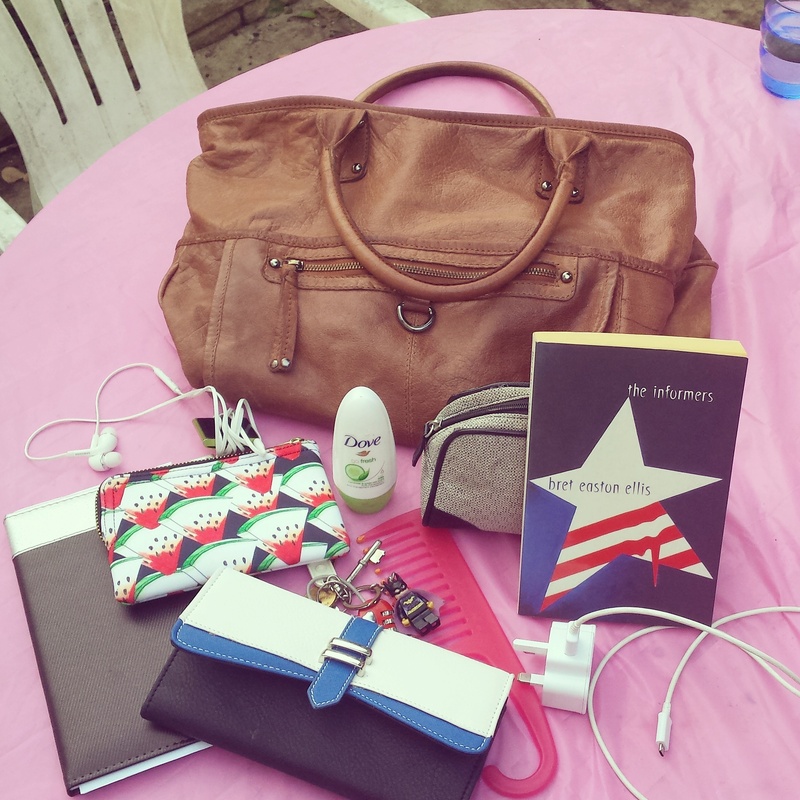 iPod, wallet, diary, keys, comb, change purse, phone charger, make-up bag, book, deodorant – nothing at all untoward. 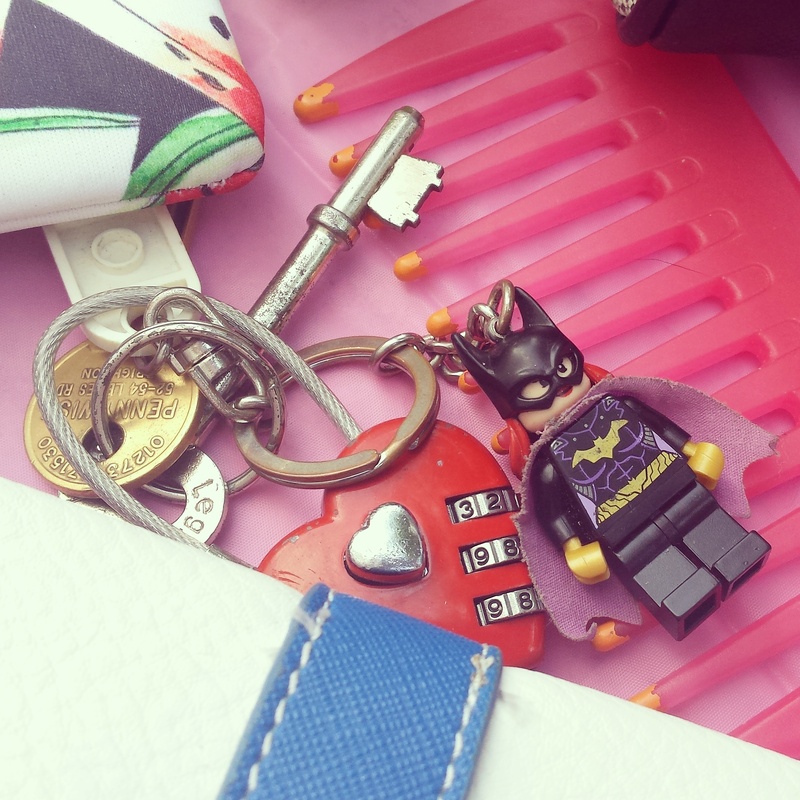 Who better to serve justice to anybody who tries to steal my keys than Bat Girl? I used to have Wonder Woman but she went on an adventure without me. The heart padlock is from Tiger and I just thought it was cute. Yes, I carry a shower comb in my purse. You try controlling this mass without one! Blue and white wallet is from Peacocks. I love this watermelon purse from ASOS and couldn’t resist it. Watermelon is hands down my favourite print this Summer. I carry a change purse because I like to save it all up and spend it on nail polish. 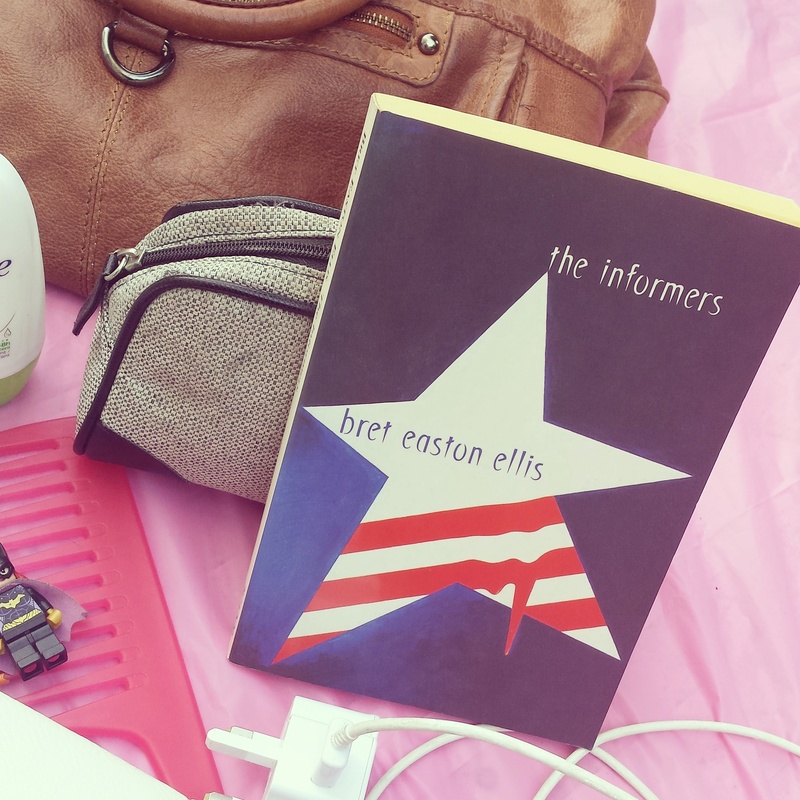 I’m currently reading The Informers by Brett Easton Ellis. I’m a big fan of his style and am looking forward to getting stuck into this novel. If I’m honest, I’m not even sure what it’s about yet, so I’ll just enjoy the ride. My charger is of course the most important thing in my life. 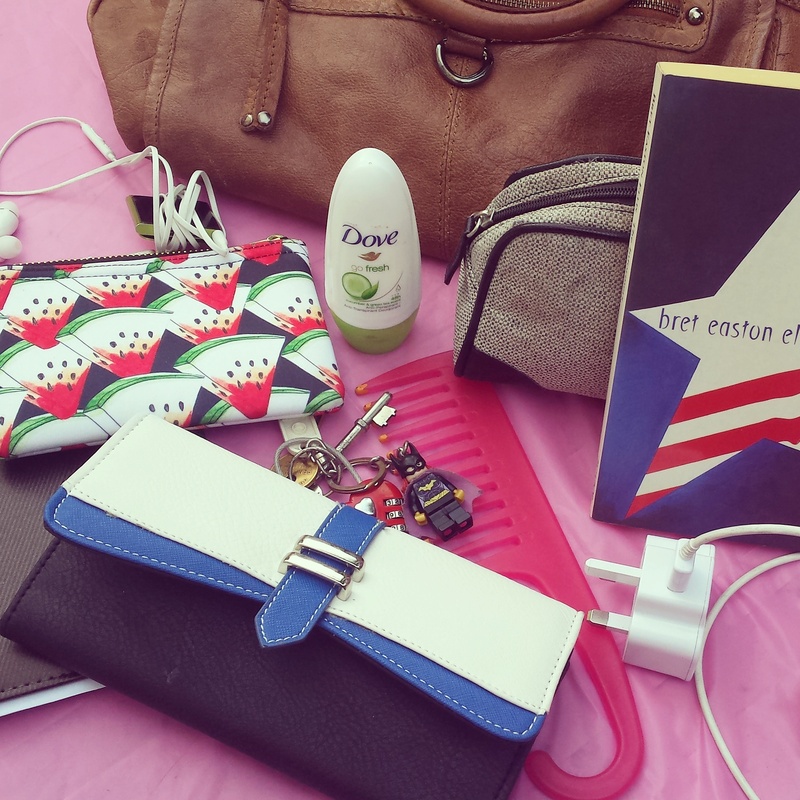 Deodorant and diary are self-explanatory. So there you go. An insight into the things I drag around with me on the day-to-day. I should really have gone through my make up bag with you too but that’s mainly black kohl and a crusty old mascara. 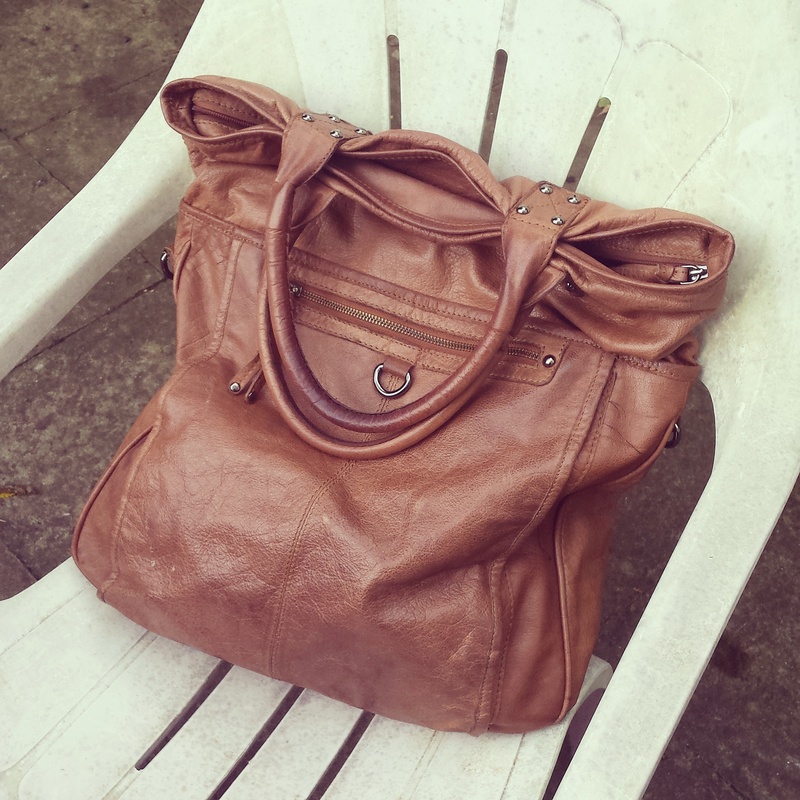 Now, what’s in your bag?! Categories A Voluptuous Mind, Confessions, What's In My Bag?•Tags Books, Bookworm, Brett Easton Ellis, Purses, Secrets. 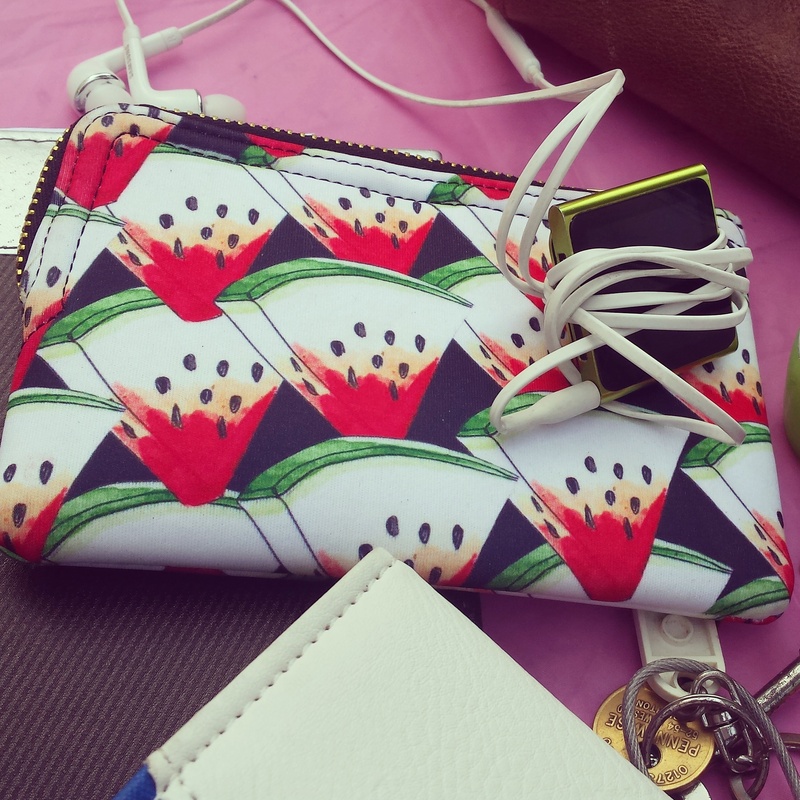 Keys, The Informers, Watermelon, What's In My Bag?